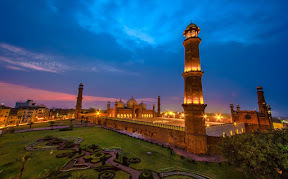 Badshahi Masjid, Lahore at sunset. Nov. 23, 2015, 5:44 a.m. Pasta is being made in a numerous ways either it's a pure italian or with some desi style. With the use of different spices pastas can be turned out to some scrumptious meal and a healthy treat for all age groups with an appropriate portion of nutritions. Let's have look on my recipe a fusion of Italian herbs and how to make a delish pasta that probably be in red sauce! Fear. It’s both a vital gift housed by human nature and an insidious enemy of the human race. On one hand, it whispers warnings and protects us from danger. On the other hand, it has the tendency to dramatise risk, rationalise rumours, glorify assumptions and conjure terrifying truths in order to fill gaps in knowledge and experience. . In this regard, fear often places two hands over our eyes and blinds us from hidden opportunities. It closes the gate on enlightening international relationships, thrilling life experiences and character-building adventures. Bahawalpur is one of the major cities in Punjab. It is the 13th most populous city of Pakistan. Bahawalpur has royal history, and it is now developed as a metropolitan city. As this city has been home to most of the kings and nawabs, it is a vital attraction for tourists and history lovers. The Palaces built by these kings are major tourist attraction.